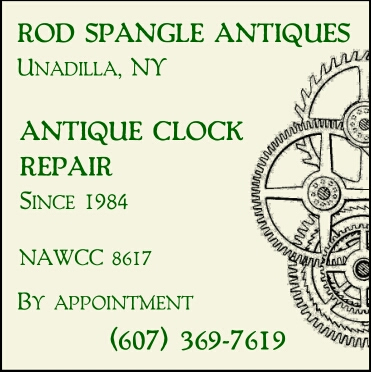 DOAS owns a 12 acre property in the Town of Burlington in northwestern Otsego County. 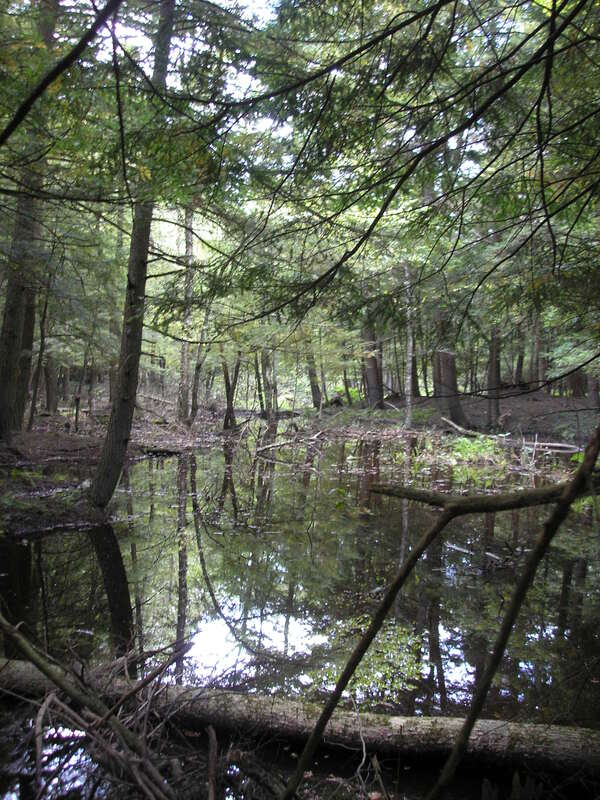 70% of this property is protected wetland in the flood plain of the Wharton Creek. 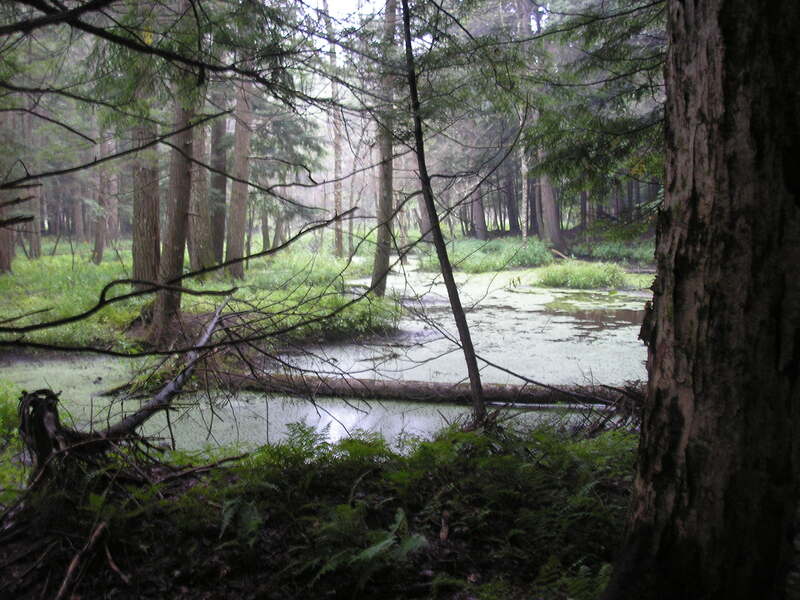 It is wet forest habitat with a mix of hardwoods and hemlocks. Some of the trees are very old and large. A small grove of locally rare black maple trees sits on one corner of the property where the boundary reaches the current channel of Wharton Creek. The eastern border follows an older, abandoned creek channel. The old channel was dammed by beavers several years ago. The impoundment has made the property much more attractive to ducks, herons and kingfishers. Hooded Mergansers and Wood Ducks nest there. Northern Waterthrush, Canada and Black-throated Green Warblers are common. Winter Wren, Barred Owl and Red-shouldered Hawks are found on occasion. The property does not have any road frontage. Access is along a right-of-way through private property. Walking is difficult and in places potentially dangerous. We do not encourage visits except with a guide. 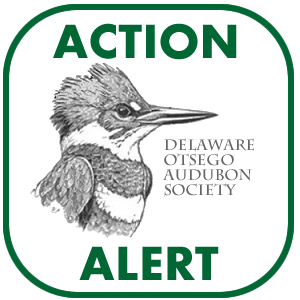 If you are nimble and fit (able to jump 3 or 4 feet) and would like to visit the wetland, contact Tom Salo, 607-965-8232.